Uniontown Elementary is home to 459 kindergarten through third-grade students and 50 staff members. Our school is located in northeast Ohio between Akron and Canton. Map this location. 1st Grade Helmets: On Friday, May 8 Aultman Hospital will be here for their annual bike safety day to donate free bicycle helmets to all of our 1st Graders! Popcorn Day: The next Popcorn day will be Friday, May 1. Popcorn is free this month, but if you would like to still purchase your popcorn all of the proceeds will be donated to the UE Playground Fund! 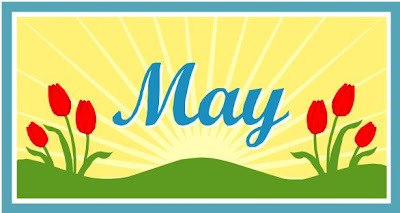 PTO Meeting: The May PTO will be on Monday, May 11 at 6:00 in the school library. Please come and see how you can get involved in your child's school! 3rd Grade Recognition: The annual 3rd grade recognition night will be taking place on Tuesday, May 12 at the HS Performance Arts Hall. The performance will begin at 6:30pm and we are asking that all students are dropped off in the band room by 6:15. Students are to wear their recognition night t-shirt, jeans, and a pair of dark shoes. Please get there early as seats fill up fast! Mini-Relay for Life: We are continuing our annual Mini-Relay for life on Friday, May 15 in the back field. Students will participate in activities that promote a healthy lifestyle. Principal's Cook-Out: The annual Principal's cookout will be taking place on Friday, May 22 during lunch times. Volunteers are invited by their classroom teachers to have a complimentary lunch to say thanks for all of their hardwork throughout the school year. Students, teachers, and volunteers will be eating on the back field during lunch (weather permitting). Please have your child bring a beach towel to sit on! Memorial Day: There will be no school on Monday, May 25th for Memorial Day. School will resume on Tuesday, May 26. Class Picnics: The end of the year class picnics will be taking place on Tuesday, May 26th. Please contact your child's teacher for information. Only those parents that signed up for this event will be permitted to attend. Last Day! : The last day of the 2014-2015 school year will be on Thursday, May 28th. Report cards will be coming home with your child! Please contact your child's teacher or our office with any questions!